When someone asks about the hot stars of Philippine showbiz, you're sure to get the names of James Reid, Enrique Gil, and Daniel Padilla. But while there is no doubt that these boys currently rule local TV, there are the ~men~ who have lasted the test of time when it comes to their appeal. Below, five stars who look better than ever with age. Be still, our hearts. The father of five made his foray into showbiz by starting out as a model. Over the years, John dabbled in different projects, from acting as a second lead in teleseryes to cracking jokes in noontime shows. While his charm (that height, that strut, FML) is one of his assets, his acting chops don't hurt, either. Villain or funny guy? Get yourself a man who can do both, girl. Daniel who? While we swoon over the next generation Padilla, the original bad boy still has his indelible mark in our hearts. He may have had a rocky history, but the father of seven has long since reformed his ways and is now quite known for his many advocacies, including building schools and distributing books to kids. 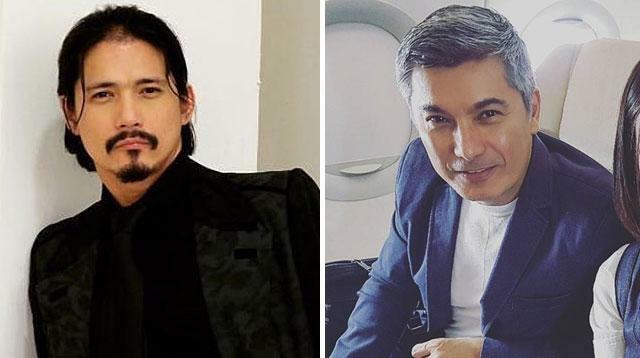 The former matinee idol spent his early years as the leading man of some of the country's best leading ladies of the '90s. He has also directed and hosted, all while being the cool father of twins Cassy and Mavy Legaspi and hubby of Carmina Villaroel. And seriously, who could ever forget his surprise proposal-turned-wedding? Guy knows how to pull off a flashmob plan well! Who doesn't know Sir Chief and Papa Chen? He may have had a late start in his career (he focused on modeling before), but he quickly became a household name after the ABS-CBN teleserye Be Careful With My Heart which ran from 2012 to 2014. His boyish charm, mixed with the maturity he shows in his roles, has catapulted him to heartthrob status, regardless of age group. Fun fact: He also once said that he fought to marry his wife, a Filipina, over someone his family chose for him. Swoon! With a career spanning more than three decades, Albert definitely still ranks as one of the most sought-after actors of today. He is known for playing villains and enigmatic characters, and has always been well-celebrated for his acting skills. He has also worked as a director and even won the 59th Famas Best Director Award in 2010 for the film Rosario.